The brewery adds four fermenters and a conditioning tank to its facility in Gorham. 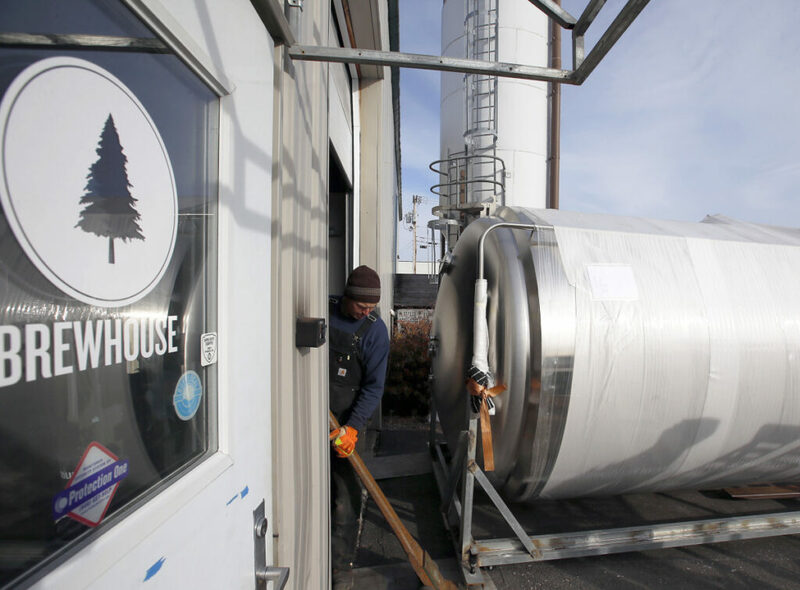 Workers from Cote Crane & Rigging roll a 2,500-gallon fermenting tank into Lone Pine Brewing Co.’s Gorham facility on Tuesday. The brewer added four fermenters and a conditioning tank, effectively doubling its capacity from a pace of 7,500 barrels of beer in 2018 to a projected pace of 12,500 this year. 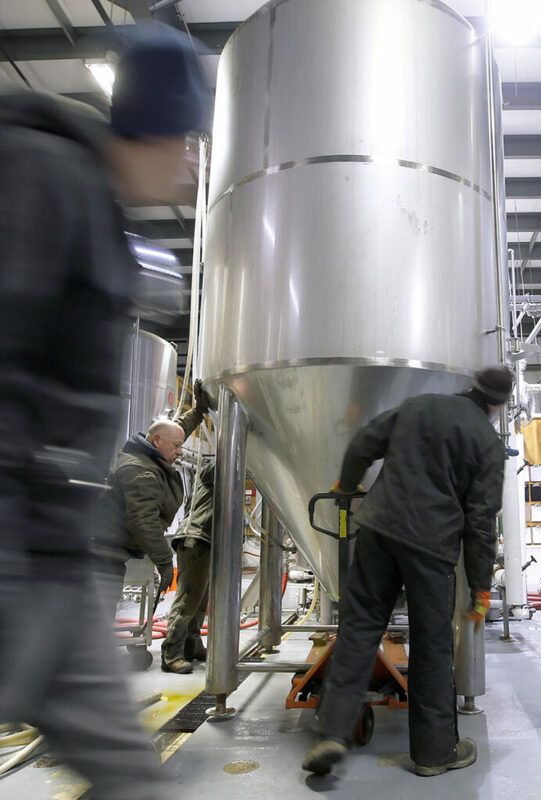 Cote Crane & Rigging workers installed brewing equipment at Lone Pine Brewing Co.’s Gorham facility on Tuesday. 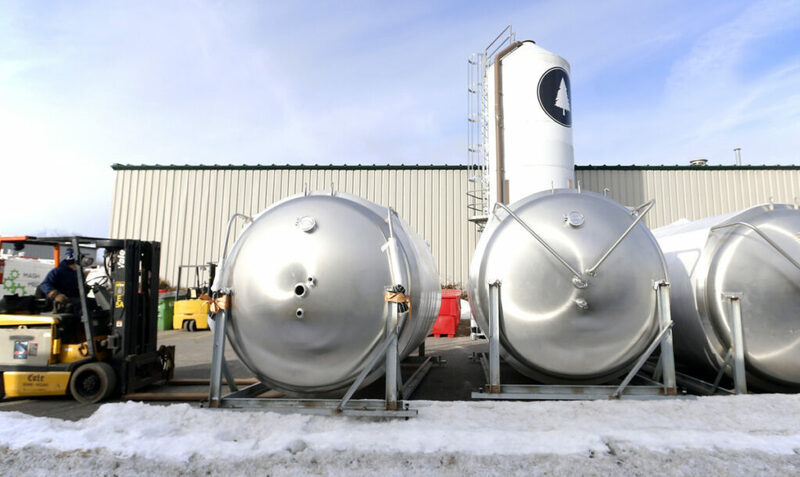 The three-year-old brewery added four fermenters and a conditioning tank, increasing its capacity from producing 7,500 barrels of beer in 2018 to a projected 12,500 barrels this year. Because of its expanded facility, the company has started barrel-aging. Currently there are more than 30 barrels aging, with the first of these poised for a spring/summer release. A new tasting room, brewery tours and event space are expected to launch by the end of February. Cote Crane & Rigging forklift operator Tony Landry prepares to move a 2,500-gallon fermenting tank into Lone Pine Brewing Co.’s facility in Gorham on Tuesday.